How to play the latest Mecha'thun Druid deck in the Rastakhan meta. 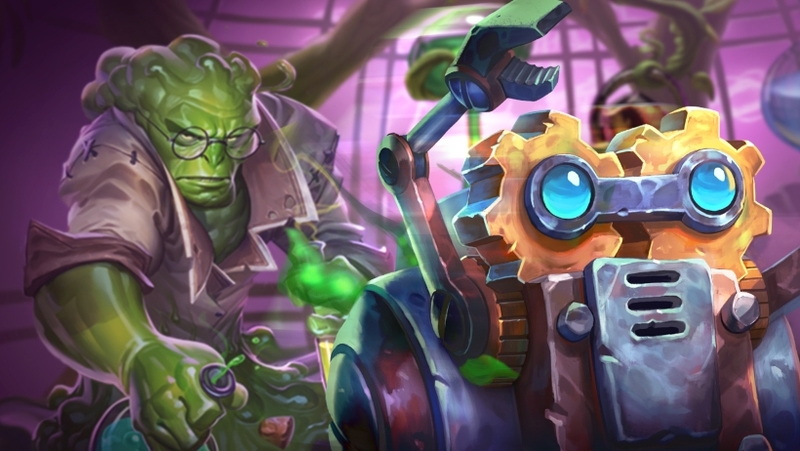 Our Mecha'thun Druid deck list guide features the best Rastakhan deck list for Season 60 of Hearthstone (March 2019). Our Mecha'thun Druid guide also contains Mulligan advice, card combos and strategy tips. Mecha'thun Druid made its first appearance with the release of the Boomsday Project set last year, and it's built squarely around the destructive power of the massive Mech of the same name. To win, you need to obliterate Mecha'thun while it's the only minion you have in play. Oh, and your hand has to be empty too, along with with your deck. For all classes, the challenge comes from working out how you reach these very specific conditions so that the opponent is destroyed. To help you on that front, we've put together a Mecha'thun Druid guide that goes through the process in detail, and features the best version of the deck seeing play right now. If the deck continues to perform well with the release of Rise of Shadows, we'll continue to build out this article with more tips, and we'll also keep tracking the deck list as long as it remains part of the competitive meta. As we approach the end of March - not to mention the Rastakhan era - we're not aware of any significant changes to the established Mecha'thun Druid deck. We've not made any changes as a result, and we're looking forward to seeing if this deck makes the cut once the Rise of Shadows meta gets under way. If it's still in play, we'll get a new version of the deck ready for you right here. This is the deck list that's proving strongest at this late stage of the Rastakhan meta. If changes are necessary then we'll tweak the list over time! The name of the game with this deck is to use all of your defensive options to stay alive, draw through your deck with the likes of Acolyte of Pain and Gadgetzan Auctioneer, then obliterate Mecha'thun with nothing else left in your hand or deck. To get that win condition, you're going to need to reach a point where you have nothing left in your hand except Mecha'thun, Innervate and Naturalize. You can put the mech on the board, then use Innervate to gain the extra Mana you need to cast Naturalize on Mecha'thun. 1. Acolyte of Pain - Contests the board early and will draw you at least one card before disappearing. 2. Ferocious Howl - More card draw and more Armor - both vital parts of this deck's strategy. 4. Gadgetzan Auctioneer - A high-cost card to keep this early on, but if you've drawn into some of your cheaper spells by then you'll be glad you had it in your back pocket! Here's how all of the cards in this take on Mecha'thun Druid synergise with one another. As our recommended deck list changes over time, we'll make sure this section accurately reflects those changes. - Innervate allows you to gain one extra Mana for free on the turn in question. This is most obviously useful so you can afford to cast Naturalize on the Mecha'thun you played on the same turn. - Lesser Jasper Spellstone deals two damage to a minion in its basic form. Gain three Armor though and the damage increases to four points. Gain another three Armor and the damage maxes out at six. - Ferocious Howl draws you a card and then gifts you Armor equivalent to the number of cards you have in your hand at that time. - Cast a spell while Wild Pyromancer is on the board and a point of damage will be applied to all minions after the spell effect has gone off. There's obvious card draw synergy here with the likes of Acolyte of Pain. - Oaken Summons can bring either Wild Pyromancer or Acolyte of Pain into play - assuming you have at least one copy of either of these cards left in your deck. - Whenever you cast a spell, Gadgetzan Auctioneer will draw a card for you. You have lots of very cheap spells in this deck, allowing you to burn through your deck remarkably quickly.